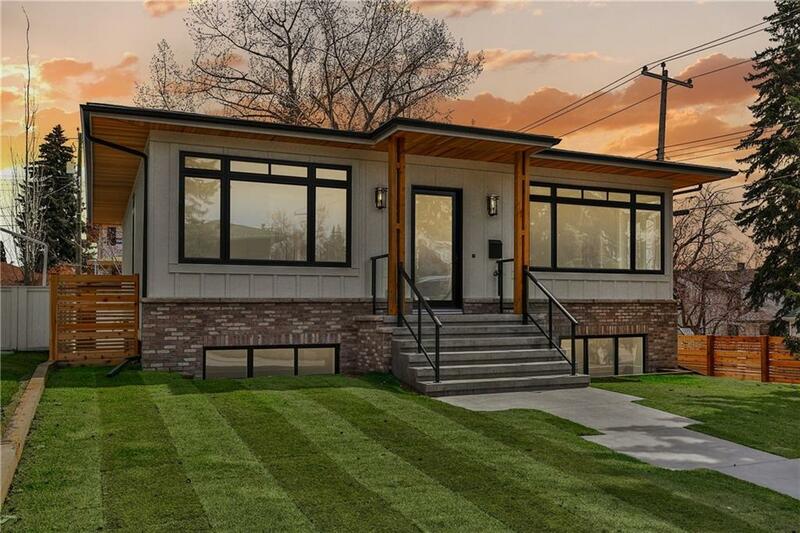 DESCRIPTION This BRAND-NEW CUSTOM MASTERPIECE has 2878 SF of living space on 2 LEVELS w/4 BDRMS+3 BATHS. ONLY 5 MIN to MARDA LOOP and KILLARNEY. MAIN: Boasting 10ft ceilings, custom millwork, gorgeous double-sided limestone fireplace, bright space w/windows galore, engineered white oak hardwood. True gourmet kitchen w/huge island, s/s high-end appliances+commercial grade gas cooktop, Italian 'leather' granite marble countertop, concrete backsplash, dining room w/coffered ceiling. Spacious mudroom+main floor laundry. Master bedroom w/WIC, DREAM ENSUITE w/heated Italian porcelain floors, soaker tub, luxurious walk-in shower. A 2nd spacious bedroom completes this floor. LOWER: No basement feel here with huge windows! First impression - the wine collection glass encased room, wet bar w/fridge & DW+recreation room. Entire house is wired for sound. A large den/office+2 bedrooms+full bath+large WIC completes this floor. EXT: Hardy board w/brick accents+cedar fence+3 CAR O/S garage, massive custom concrete deck.